Hi everyone. 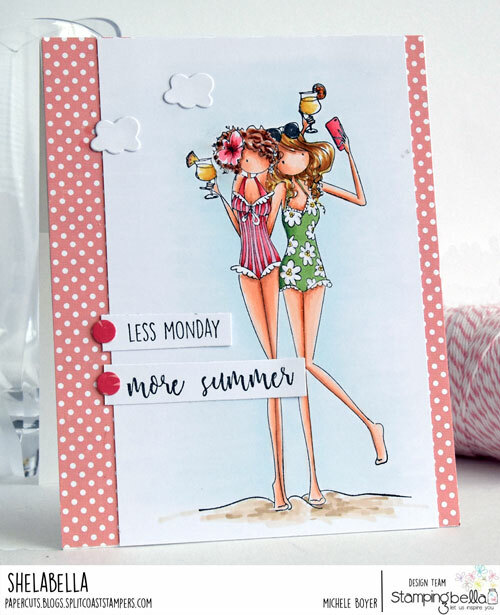 Welcome to another Bellarific Friday with Stamping Bella. 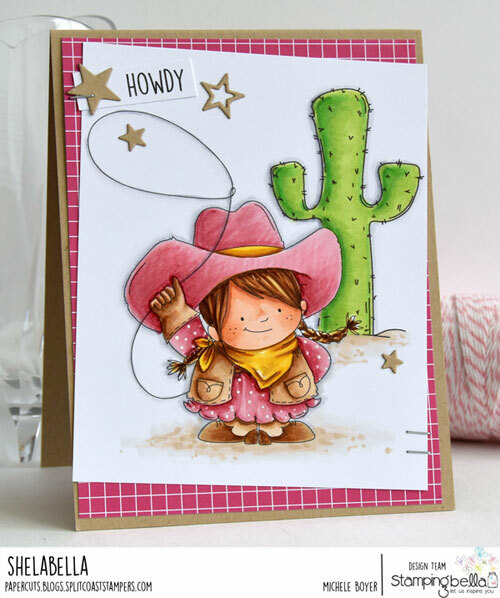 This week the team is designing with the May Stamp(s) of the Month, Cowgirl Squidgy, Cowboy Squidgy and Squidgy Cactus. Through May 31st, all three sets are available at 20% off. 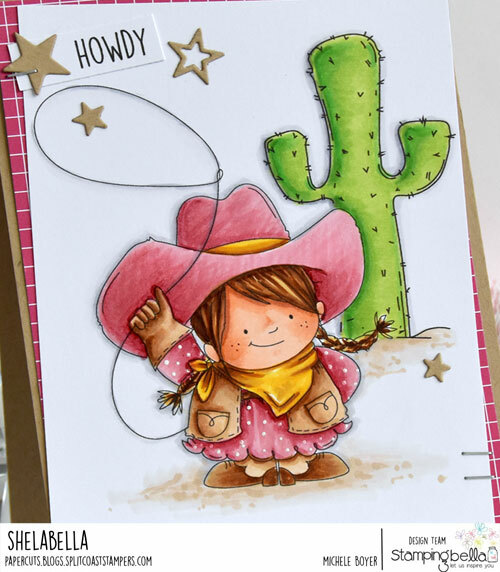 I stamped Cowgirl Squidgy and Squidgy Cactus onto X-Press It Blending Card and colored with Copic markers. As a finishing touch, I added a few Super Stars die-cut from Kraft card stock. Below are two cards I posted earlier this week on Instagram. Copic markers used are listed below each photo.